Excitement is certainly in the air now with the launch and publication of my first book and online and local Master Creator Class… Your Magnificent Self… A Journey to Freedom... coming later this year. My Elemental friends, aspects of myself, who I perceived along my journey and received messages of truth are lined up as I speak and are eager to be interviewed. So without further delay IAM going to share with you my first Guest Interview. Jake is his name, he is small brownish/red squirrel with black strips. He carries 3 red balls with him that he plays with when sitting quietly and not flying through different dimensions with his majestic red wings. Welcome to this safe and sacred space here on my blog MeMyMagnfiicentSelf Jake. It’s been quite a while since we last talked. How are you? IAM so well and wonderfully occupied with my wise friend Axiel. We continue to spend a bit of time flying through the infinite dimensions, attracting your splintered parts back home, but most of the time we have fun throwing my red balls around and meeting all your new friends. You know my new friends? Of course, silly… Me and You are one, IAM part of you and you are part of me. Yes, I remember, it just feels like we are separated when I see you here by my side. Anyway Jake what first brought you to show up in my life? I watched you for quite a long while you were having fun with Magdalena and Jeremy when you first moved out to Spain and then Magdalena gave birth to Cordelia and Adamus from the Crimson Circle suggested to all Shambra they play with a totem animal. That was my queue to come in. You were alone one morning spending quiet sacred time on an inner journey, consciously breathing, feeling and expanding. Yes I remember like it was yesterday. Suddenly you were there in my awareness, flying with me through the darkness and when I had finished my journey and fully focusing on my physical body and the present moment with my eyes open… you were sitting there, right next to me. So Barbara my dear, you are getting on so well now… a few minor physical hiccups but you know that is all part of your continued integration of your crystalline light body and mind, coming into your physical body, mind and reality. Your conscious breath indeed helps you move stale energy and brings you to a place of peace… but maybe you can spend a little more time, embracing the parts of you that you don’t like. Everything needs to be loved and accepted. It is what it is and you know everything will indeed pass. Easier said than done… as I know it’s also part of my caring about what others think of my appearance… IAM still very much Human and do get caught up in being perfect. Maybe there is some splintered part of me far away that was cast out for not being the perfect specimen. Spend some of your Me-Time breathing into this, you never know what might happen. So before I go my dear, can you remember my most important message of truth I gave you? I remember feeling into myself on our expanded journeys and understanding that IAM so much more than my history and my physical perception of me and my life… IAM all of my potential… an unimaginable reservoir of abundant potential. Yes and this understanding, allows you to accept all of Self, all the broken and imperfect parts too and invite them back home to be embraced. This releases them from their turmoil and service and frees them to transform into what ever you choose to experience next. So be clear Dear Barbara about what you want to experience. Jake… Thank you so much for being here. IAM not at all sure who was the guest here, but it is always an honour to be with you. To be YOU. Until we meet again. Well that was quite wonderful. Jake and all my elementals never cease to amaze me. I hope you enjoyed reading this interview with Jake and brings you into our excitement about reading more of my magnificent and magical journey. IAM so enjoying blogging each day, inspiration is flowing and it is helping me expand my friendship network… in preparation for the launch of my first book and Online and Local Master Creator Class later this year. Thank you so much for liking my new Facebook page MeMyMagnificentSelf or Twitter Account… If not, I’d love it if you do. Thank you. I Love Colour… Colours are part of who IAM and reflect my qualities and hold the secret to being FREE instead of programmed. How programmed are you? I have created an action plan poster for my friends to see my plans this year and I ask for help by sharing my post or liking my new Facebook page and twitter account… I’d love it if you can help me to. Thank you. It is easy to feel insignificant and unnecessary in life… but in fact we are all essential pieces of life on Earth. 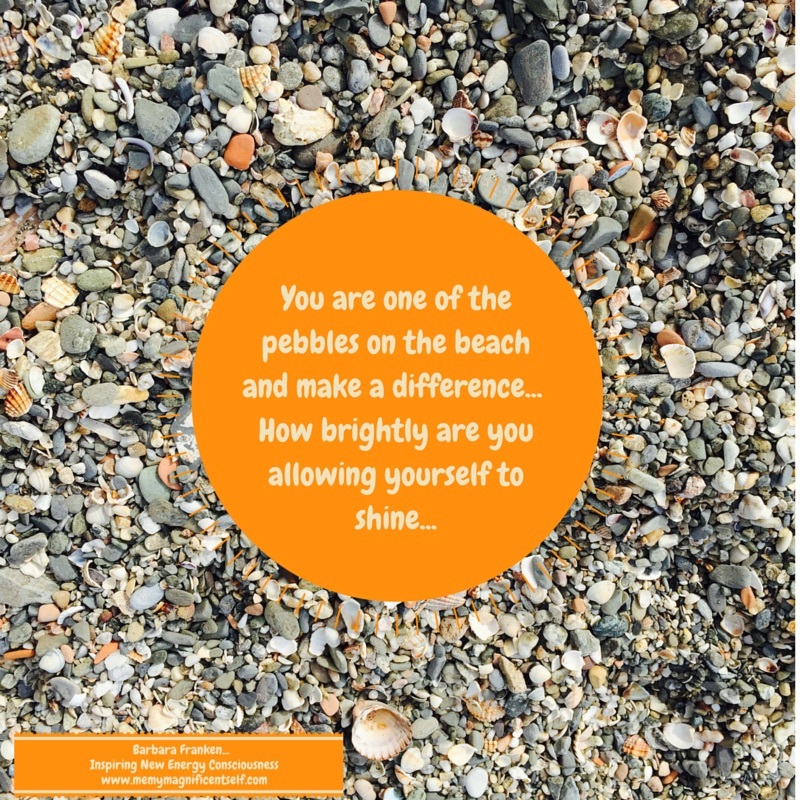 So are you shining and making a difference? I’d love to hear your voice. I share my tips that help me overcome writers and bloggers block. Hope you like them and if you have any others, why not share them in my comments. Thank you. 7. Inspiring ‘The Magnificent Consciousness’ through Creativity. I share my intention to make a difference in my local community. 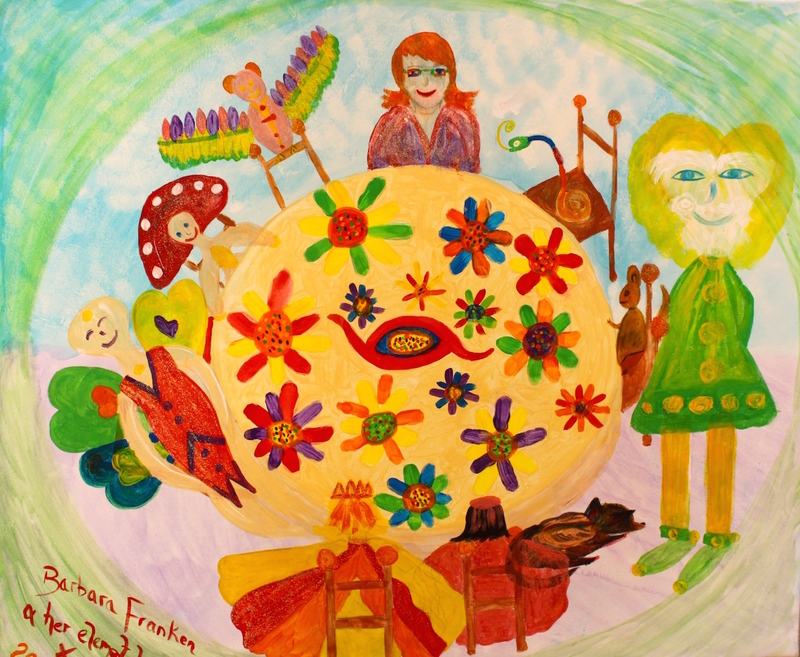 Inspiring children and adults, through creative activity The Magnificent Consciousness that we ALL are. Inspiring ‘The Magnificent Consciousness’ through Creativity. As promised the other day in my post, IAM writing about my intention to make a difference in my local community. IAM in the process of setting-up a Spanish Association. 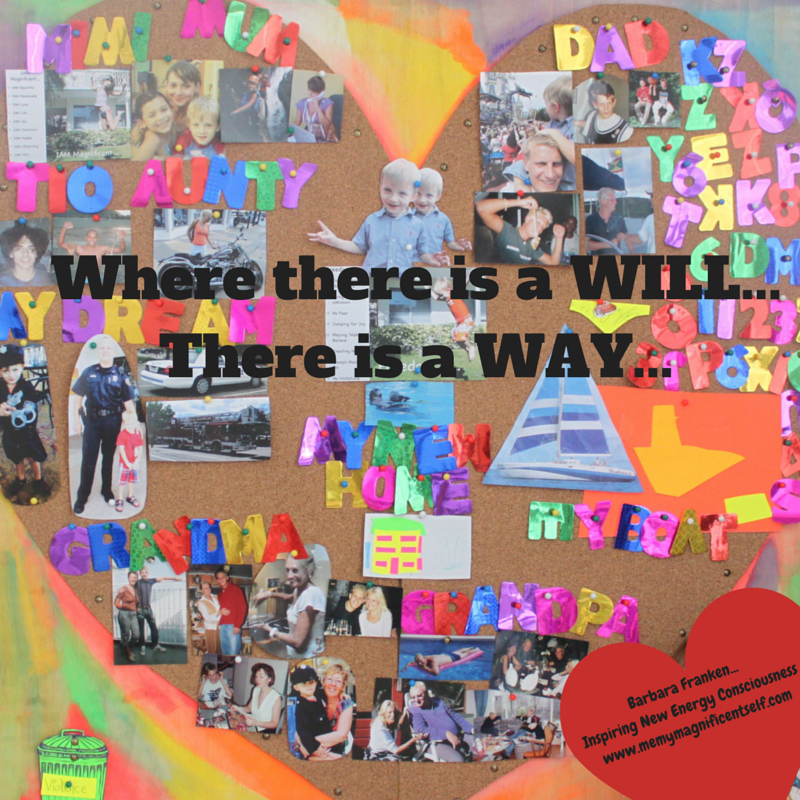 A local charity in the province of Malaga, Andalusia… The Magnificent Consciousness. (Asociacion Conciencia Magnifia). My aim is to inspire, through creative and mindful activity, the magnificent and expanding consciousness that we all indeed are. 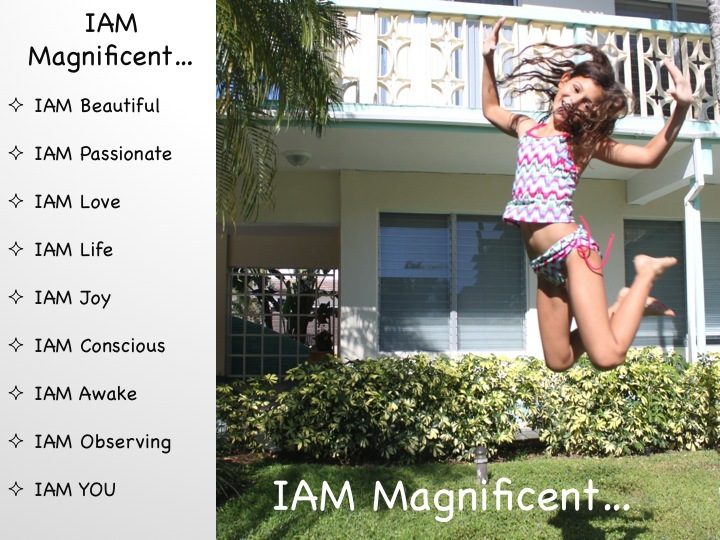 IAM joining forces with international women (that IAM meeting through Costa Women… A social and business network) to bring Project The Magnificent Consciousness to local children’s schools and adult classes. For them to explore and discover their Magnificent Consciousness and unique potential. Sense the Natural Order, Cycles & Beauty of Mother Earth. Perceive their part in life and how they are a unique and magnificent force within the whole of life. Feel and know who they are and the freedom of living their life in love, joy and harmony. … We asked them as a group to visualise their feelings and answers in a grand mural painting and exhibit and talk to others about it. I believe it is important that we allow our children and fellow adults to have the chance to explore and discover who they are, what they feel, what they like and how they want to live their life… and what better way than through creativity. 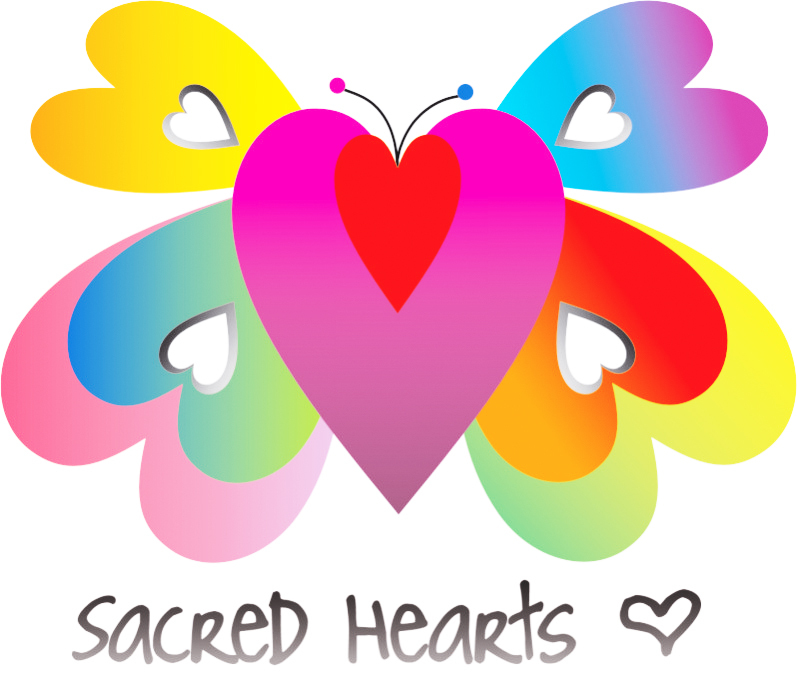 My funding will come from the sales of my book… Your Magnificent Self… A Journey to Freedom that recalls my own experience discovering Who IAM and realising love and freedom… and my local and online Master Creator Class that I created together with sacred friends to commit and celebrate our Master Creator Selves. Later this year I should be ready to publish my book and release my online Master Creator Class… This book will be followed by a children’s version of the book… hopefully available for the christmas stockings. IAM working hard at expanding my network of friends to be able to share my book and Master Creator Classes with as many people as possible… to help me raise my funds to fulfil my desire to inspire and create awareness locally, of our Magnificent Consciousness.